Have you ever thought of? If yes, then you have taken the first step towards making huge leap in making money online. If no, then I will suggest you to start doing that. Facebook has got a billion users and at least 50% of them use it at a daily basis spending couple of hours on it. A website which has got such a huge presence across globe is bound to create a market which can be used well to make money from Facebook. Therefore you must pay proper attention to it. Facebook apps have taken the online world by storm. Facebook apps are software applications which use the core technology of the Facebook platform. Facebook apps are used to perform variety of activities on Facebook. If you look at the left hand side of this post, you will see a social share bar which includes Facebook Like button. This is also a kind of Facebook app. If you are active on Facebook you would be aware of those quizzes, polls, games and many other features of Facebook. Most of them are Facebook apps. Last year, Facebook acquired a Facebook app “Instagram” in $1 billion. They have also acquired few other apps after that deal. So you can imagine the financial power of these apps in today’s world. They are literally gold mine. You can make huge money from Facebook using these apps. You need to Make a Free Facebook account and then Get a Facebook App ID which is available in developer section. So opportunity is huge and if you are in any kind of business or blogging, then it is a great opportunity for you to make money from Facebook. And if you are a wordpress blogger, then it is one of the easiest thing you can do. If you are asking “How to build facebook apps”, then you don’t need to bother about that if you are using wordpress. So the only way to make money from Facebook is to make Facebook apps. Before we get into the detail of “How To Make Facebook apps?”, let’s look into some of the easiest ways of making money from Facebook using these apps. It is easiest for those who are already in some kind of business or blogging. In fact, it is easier for bloggers especially affiliate marketers because they can promote anything and everything. I have compiled two ways of making money from Facebook which are convenient for bloggers and small businesses. 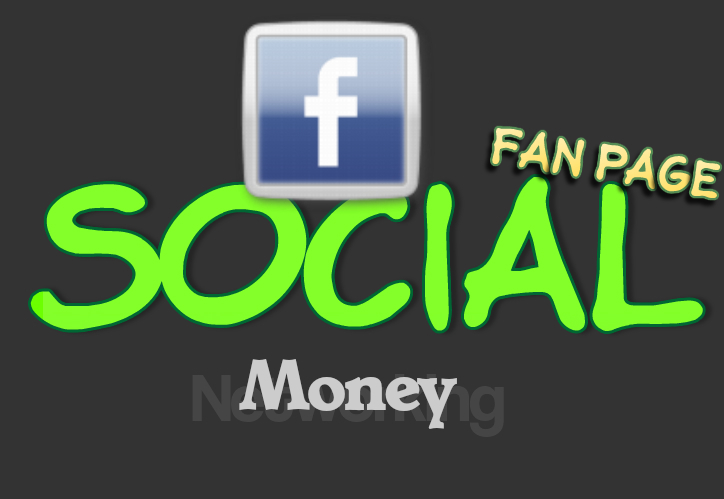 You can make money from Facebook by creating fan page on Facebook. It is free and available to all. You must pay attention to your fan page and use good tools to create them. In order to create a good Fan page, you need to make facebook apps which can add those additional features which will boost its popularity. If you are using wordpress then you can use plugins like FacebookAppsNinja WordPress. Idea is to create a fan page with attractive timeline which can ‘not only’ grab the attention of your visitors but also, provide adequate information about your primary niche. If you are a business then you need to be more cautious while designing your Facebook fan page. In that case, you can use something like FBinfluence to master the art of Facebook marketing. It will also inform you about correct tools required by small business and big blogs to make an impact through fan pages on Facebook. As far as average bloggers and affiliate marketers are concerned, you should use good tools which are available to you to create a good timeline banner for your fan page. Then you should promote your Facebook fan page to your friends and family to get likes. You can also purchase likes for the initial marketing campaign but it should be only to give it a start. You can drive traffic to your blog or business sites from fan page. You should create quiz, polls and other activities to engage your fans in order to drive them to your primary blog or business. You can also promote your business on Facebook by using your fan page. You can use FacebookAppsNinja WordPress plugins to create Your Own Facebook App. You can get Facebook apps from Aweber and Getresponse in free. So if you are using them then don’t forget to use their apps to add a tab where you can collect the email addresses of your fans and visitors, though i still recommend to use facebookappsninja plugin to create squeeze pages to collect emails but i will discuss in next section. Fan page based Marketing using Facebook apps have proven to be very effective for bloggers and marketers to increase their business and make money from Facebook. If you are a blogger or a small business then you are well aware of the significance of squeeze pages. For those who don’t know what is a “Squeeze page” then you need to know it. In short, squeeze pages are the pages where your visitor land and it is used to collect email address of these visitors. It is designed very carefully in order to provide optimum performance. Creating a good squeeze page on Facebook is tricky. You need to create a app for this and also, you need to ensure the quality of such a squeeze page is good. For this you need to make Facebook apps which provide you flexibility in adding designs, layout and add a tab for it in your fan page. So create a squeeze page and collect email addresses of your subscribers using squeeze page app in Facebook. It is said that “Money is in list” and it is true. To make money from Facebook you need to make Facebook apps. It can be used to create a huge list due to abundance of active users on Facebook It is fairly easy to highlight yourself and then just let things to happen. Remember, when you like something, it is shown in the news feed of your friend. So when someone like your fan page or do something on your fan page, it is visible to their friends and it provides you free viral marketing. You can also use Facebook ads to get that initial kick start. If you are concerned about how to create a good squeeze page on Facebook then don’t worry we will talk about later in this post. Best way to make money from Facebook is to collect email addresses and drive them to your blog or website. Now it is easy said than done. Your Timeline header should be attractive. You should place appropriate “call to action” buttons in your header and fan page in order to incite them to like, share and opt-in to email list. You should consistently post content to your fan page. You should create quizzes to increase the engagement level at your fan pages. Just like quizzes, you should create polls where you can ask them to vote on current issues related to your niche. You should create webinar for your Facebook fan page. You should also create iframe apps to put your blog or web page on your fan page. You should build a good and attractive squeeze page for your fan page. You should try to optimize your fan page title for search engines so that it appears well on search engines like Google. You need to focus on creating an attractive and active Facebook fan page. Now as you know to make money from facebook, you need to create a good fan page or make Facebook apps which add value to your page. How To Make Facebook apps? Well first of all, let me tell you that you need to create apps for your squeeze page, polls, webinar, iframe and quizzes. Thus, it’s all about apps on Facebook. Now you need to make Facebook apps and money from Facebook. The best way to make money from Facebook is to make Facebook apps related to the above mentioned category in order to exploit its full potential. There are many big business house who invest huge amount of money in getting tools to create fan page. You too need to build an application for Facebook in order to make money from Facebook. I am not going to talk about creating apps through manual coding. The process is too slow and it takes multiple round of iterations in order to make Facebook apps. It will be a huge task and by the time you create your first app, you don’t even know if that kind of app remain relevant at that point of time. I recommend tools like FacebookAppsNinja WordPress plugins to make Facebook apps. It is a extremely affordable, easy to use wordpress plugin. you can create multiple type of Facebook apps from your admin dashboard in wordpress and publish them to your Facebook fan page. Build fully fledged fan page with 10 different color combinations, seo title, add image slider, add videos, add opt-in form, social sharing buttons and set custom tabs to drive visitors/fans to your blog or site. You can also use it to add Facebook live comment to make your page more viral and engaging. You can integrate your fan page with aweber, getresponse, mailchimp, icontact and constant contact. Pre-made call to action buttons to like, opt-in and share your fan page and its content. A fully customizable squeeze page creator which can be used to include videos also. You can create iframe apps with your blog or business site. Create flash games viral apps builder. Create viral webinar apps using it. Create Voting apps with awesome backgrounds and design. Create quizzes with any number of questions and a fully customizable design. But nonetheless even if you decide to make Facebook app through some other way, even then you need to ensure that you can make Facebook apps quickly. If you can create good and dynamic apps on the go, it will help you in constantly updating your page.. It is a great business opportunity. Make facebook apps and make money from Facebook. I didn’t know about this till I’ve read your post. Thanks for sharing such vital information with us. You’re doing an excellent job. Thanks for sharing that. Now I know that I can earn even if I browse Facebook a few hours a day. It was really helpful. Facebook has truly change the way our world works. Thanks to information like this we’re able to maximize its capabilities. Thanks for such an insightful post! I spend a lot of hours on Facebook each day and I haven’t actually considered the fact that I could make money out of that. It was good that I ran across your article today, at least next time, I can be productive even when I’m on Facebook. The popularity of facebook and its apps is unquestionable and can surely make one earn good money. It gives one a range of opportuninties to explore..Thanks for this insightful share. Making facebook apps is I think one of the best online business you could do. As we all know, facebook has billions of user and most of them are using the facebook apps. That’s true Shane, facebook apps are extremely popular and one can use them for variety of ways like driving traffic to a site or generating leads. Thanks for sharing your thoughts on this. Interesting topic to tackle. With facebook being the most influencia social media sites these days, there are indeed a lot of opportunities in order to make money. We just got to acquire enough knowledge and skills and creativity as well in order to be successful. I found a lot of new information after I read you article.